Tortilla Chips topped refried beans and melted cheese, side with guacamole and chopped jalapeño peppers. tomatoes, cilantro, onions, jalapeño peppers, lemon. Three flour tortillas stuffed with melted cheese. Steamed Cactus served with fresh cheese. 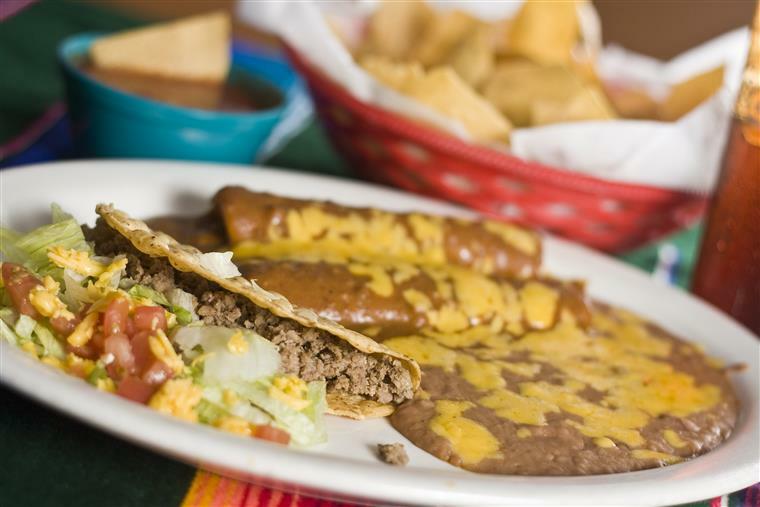 Three tortillas with refried beans and choice of red or green sauce, Lettuce and cheese. Crispy nachos scrambled with eggs, dipped in green or red sauce. Fresh Shrimp and crabmeat marinated in lime juice, mixed with tomatoes, onions, cilantro and avocado. Blended of melted cheese and onions sautéed with garlic, served with tortillas. Chicken sautéed in garlic with onions,green peppers,mushrooms with a special wine sauce. 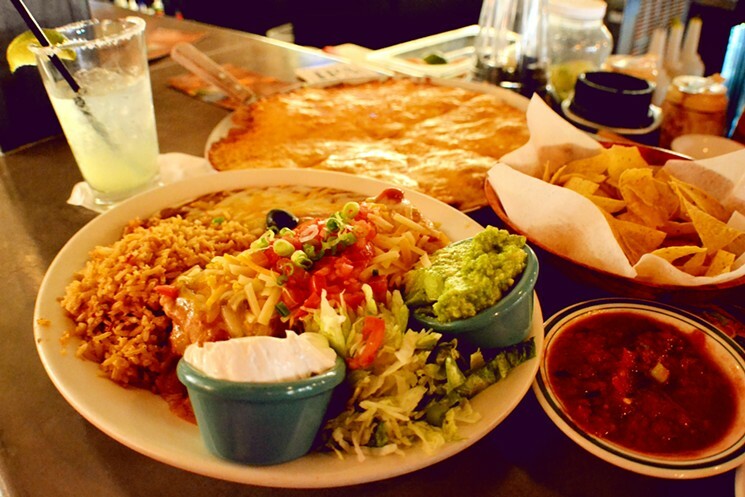 a choice of Red or Green Sauce.